Hidden underground in the Principe Real Square, we can find this cistern, with its 31 pillars supporting vaults, which received water from afar to supply the downtown area of Lisbon. 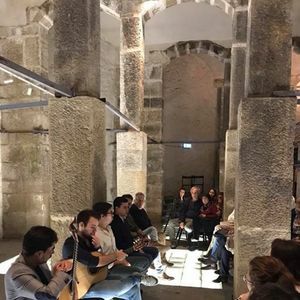 In this place of crossings, arrivals and departures, we celebrate the influence of Fado around the world, as well as the inspirations that, over time, Fado artists have absorbed from other musical genres. 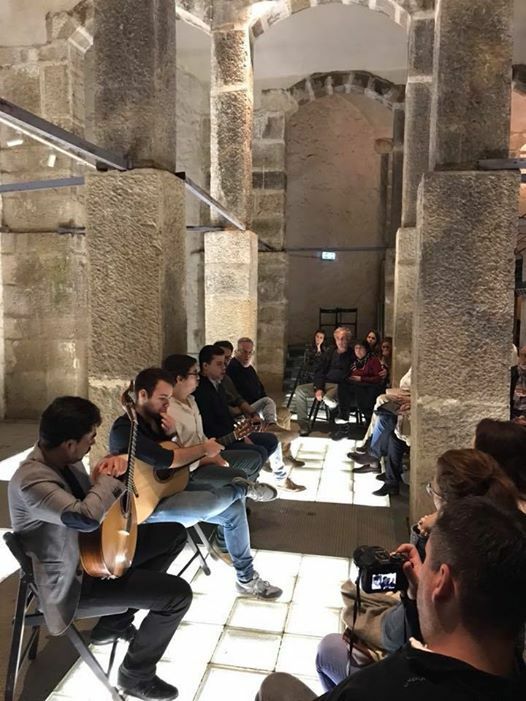 An unusual space where we are surprised by Fado embracing elements of other musical cultures. Tickets are 20€ pp for the one hour concert and include a complimentary drink by Vinhos de Belmonte (Quinta dos Termos). Os bilhetes custam 20€ por pessoa pelo concerto de uma hora e inclui uma bebida da Região de Belmonte (vinho Quinta dos Termos).